Our Water Windups swim in the ocean, pool or your tub. Wind up toys are unique gifts. Chessa the Chick swims on her back while she floats and kicks her feet. Wind up our adorable Chessa and watch her smile ..
Our adorable Peaco loves to swim. Just windup Peaco and she kicks her feet and rotates her arms. Our UglyDoll edition wi..
Wind up Super Scuba Man and he dives and kicks his red flippers. 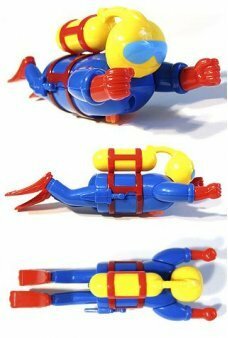 Our large plastic wind-up hero swims in the tub, pool o.. Tropical Swimming Fun! 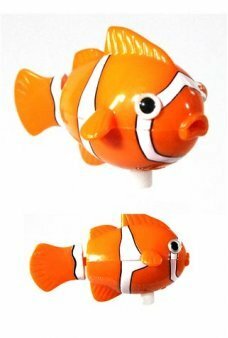 Wind up our beautiful Clara the Clown Fish and watch her tail flip as she moves through water. Th..
Wind up our Surfin Dude and he really cruises on top of the water. 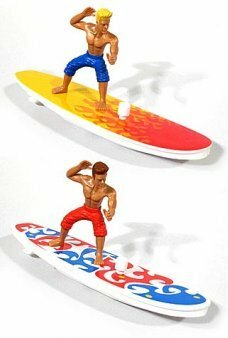 Thanks to the hidden wind up motor on his surf board ..
Wind up our Surfin Girl and she really cruises on top of the water. Thanks to the hidden wind up motor on her surf board..
An adorable Tub Ducky that really swims! 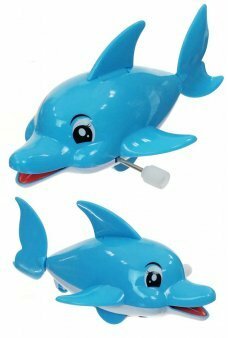 Wind up the large duck with the knob under her belly and she kicks in the water..
Bruce the Blue Shark really swims! This fierce shark chomps his sharp teeth as we wiggles his fins and kicks his tail. W..
An adorable Pull String Shark! 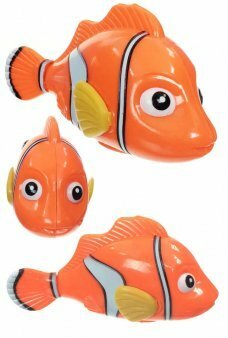 Pull the little fish to wind up the large shark and he kicks his fin in the water while ..
Nemo the clown fish really swims! 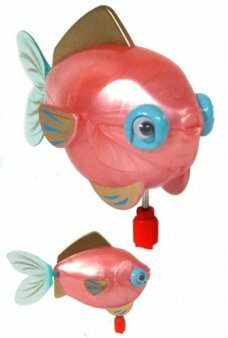 This cute bright orange fish wiggles his yellow fins and kicks his tail. Wind up the l..
Our cute Fred the Frog really swims! This bright green froggy kicks his long legs and moves his arms through the tub. 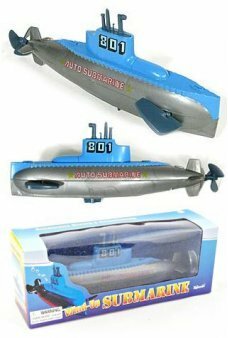 Wi..
Wind up our Submarine and she automatically dives deep and resurfaces on top of the water. 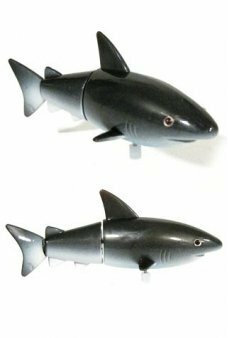 Our high quality submarine is..
Wind up our dark grey Shark and he quickly flips her body and back fin. 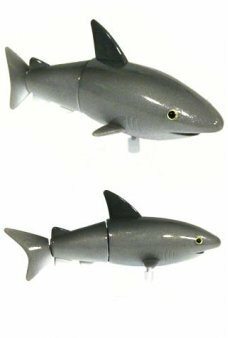 He wiggles and swims in your tub, pool or ocean..
Wind up our Grey Shark and she quickly flips her body and back fin. 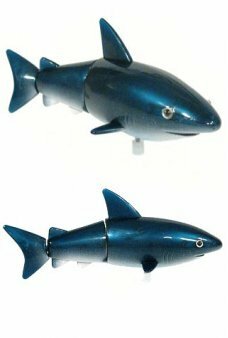 She wiggles and swims in your tub, pool or ocean, b..
Wind up our Blue Shark and he quickly flips his body and back fin. 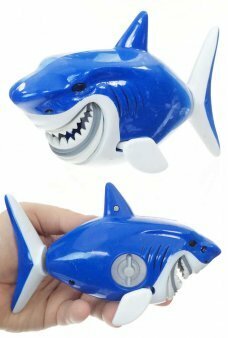 He wiggles and swims in your tub, pool or ocean, but ..
Wind up our Turquoise Shark and he quickly flips his body and back fin. He wiggles and swims in your tub, pool or ocean.. The Police Rescue Boat races through the water moving with a big fan and a directional rudder. Our retro rescue boat toy.. 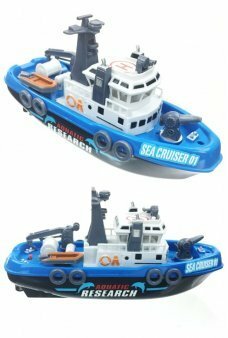 The multi-function Research Boat squirts water and moves with a directional rudder. 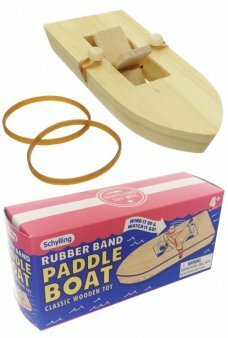 Our retro boat toy is a inspired by .. The Fire Rescue Boat races through the water moving with a big fan and a directional rudder. 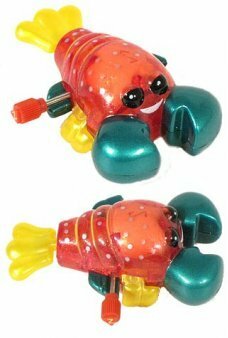 Our fireman rescue boat toy..
Wind up our happy Luke the Lobster and watch his tail and side fins flip as he moves through water. Our 2010 Luke featu.. 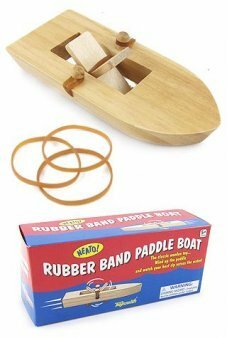 Remember the classic wooden Rubber Band Paddle Boat? Just wind the paddle wheel in the boat’s middle and let it go to pr..
Wind up Super Submarine big red wheel and she dives and swims away. 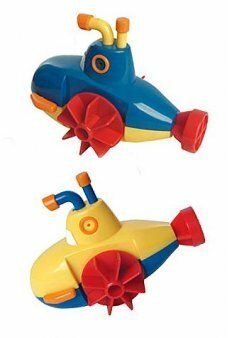 Our large plastic wind-up Submarine swims in the tu.. Celebrate with the original Silly String. 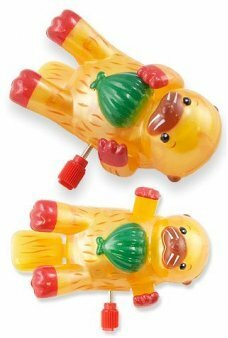 Just pop the top and push the button to spray many feet of colorful, safe stri..
Sam the Sea Otter swims on his back while he grabs his valuable green shell. Wind up our cute Sam and watch his tail fli..